Transcribe depositions at fraction of the cost. 30 minutes of transcription. No Credit Card required. 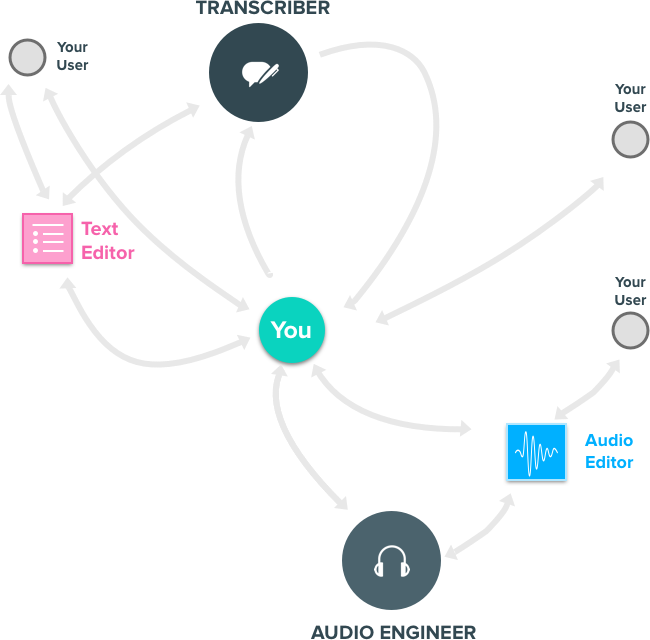 Find spoken words across your audio files & hear them in context. Redacted Audio Highlight a portion of the transcript and that portion will be muted in the audio. Redacted Video Highlight a portion of the transcript and that portion will be blacked out in the video. Audio Editor Cut silence, word fillers like "ums", "like" etc by deleting the transcript, not the waveforms. Audio Leveling & Noise Reduction Balances different speakers speaking volume for broadcast quality sound & One click filter to reduce background noise. Want something easier? Try Spectacular. 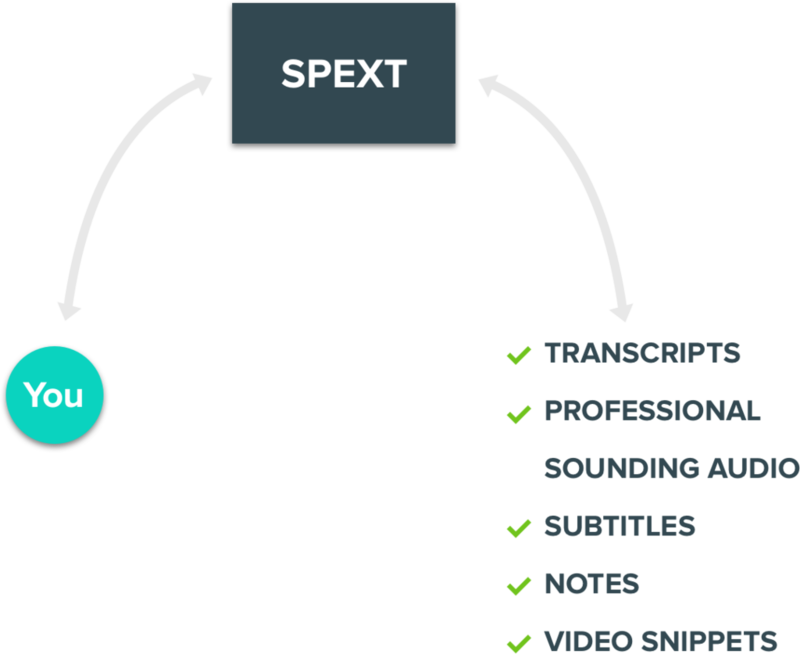 Spectacular is our on-demand, fully managed service combining Spext with talented transcriptionists. You record, we do the rest. Insufficient balance! You have 00:00 remaining and required is 00:00.